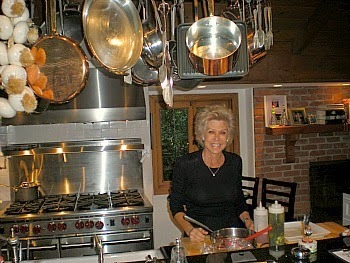 In March, I went to a cooking class hosted by Diane Mohilef at her home in Encino. She calls her series of classes "A Day in the Kitchen". Attendees watch her prepare a full menu, including dessert, while taking notes on a handout with recipes and notes. Vegetables ready to cook in one of my new pots! Finally, after 25+ years, I bought new pots and pans! She has a full demonstration kitchen in a guest house on her property, with a counter and stools for 16 people. 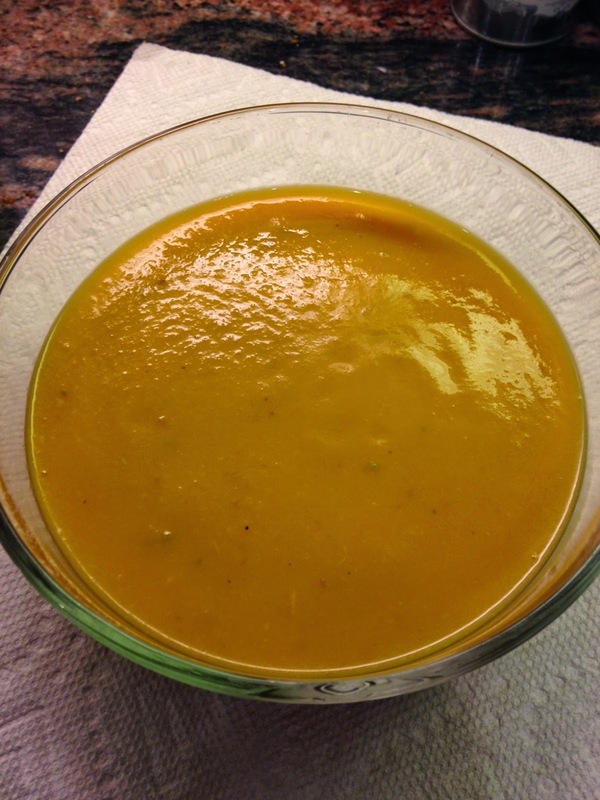 The Heirloom Carrot and Celery Soup recipe (below) is from the first class I took with her. It was a wonderful wednesday morning of learning, eating, and making new friends. My friend Karmi told me about the class and I plan to be a regular student! Diane attended culinary school when her children were grown, then cooked with Michel Richard at Citrus for many years. She is entertaining and energetic, and the class is fun and educational in so many ways. Delicious carrot soup-add a few croutons, or maybe a grilled cheese sandwich on the side? Optional--add up to 1 tsp cumin with the honey, etc. In a large pot heat butter and oil. Add onion, carrots, celery root, apple, and rutabaga. Cook over medium heat, stirring occasionally, until all vegetables are softened. Add honey, brown sugar, chicken stock, seasonings (start with 1 tsp salt and ½ tsp pepper) and rosemary. Bring to a boil and then reduce heat and simmer for about 30 minutes. Remove rosemary sprig (any leaves that have fallen off can stay in the soup) and cool. Puree soup. Warm to serve. I like to serve this with homemade croutons (stale bread cut into pieces and tossed with a little olive oil/seasoned oil and salt and pepper, then toasted in a 400 degree oven until crispy). **For the seasoned oil, you can use a purchased oil seasoned with rosemary, or basil, or garlic, or make your own. Place all ingredients in a bottle and let stand 2 days on counter. After 2 days, remove herbs and garlic, strain, and use. Keeps for about 1 month.